Definitely cursed mask. They burn it. Ok waaaay too early in the episode for that to be it. Yes, time for another costumed rampage – this time a Harlequin beating a coach into a coma. 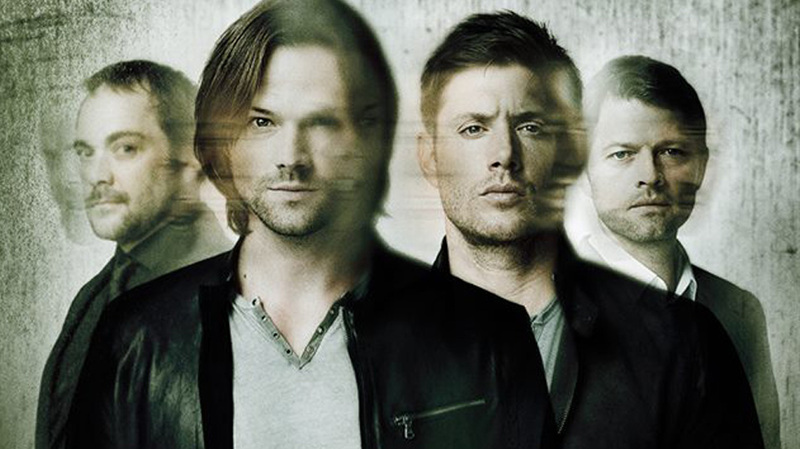 The Winchesters investigate the scene and the newly captured killer and ditch cursed masks – it’s POSSESSED masks. Evil murderous ghost possession. The possessed person (Kylie in this case) can be de-possessed with salt. This leaves Donna with the difficult decision to let her go since Kylie is innocent – even though it does make her look inept. They track down the woman who donated the costumes who gave them away after her brother, a party entertainer, committed suicide. Except that man, Chester, was cremated – so maybe he’s haunting the costumes which all need burning – which Donna handles while Dean and Sam try to figure out why Chester’s ghost wanted these people dead. Especially when an evil clown finishes off the comatose Coach in hospital – it certainly looks targeted. Sam, with his hefty coulrophobia (I still question whether fear of clowns is an “irrational” fear. Clowns are creepy and wrong) ends up on site and fighting the clown in a lift – depossessing the man. Which means another innocent person goes free and makes Donna look bad even as they have to convince Doug that random killers in costumes are totally understandable. Especially since Donna has issues with Doug and is making him pay for her awful ex. Dean continues to interview Rita, Chester’s sister and learns that both the dead men accused Chester of molesting their kids – which drove Chester to suicide. When pressed Rita admits that she came to doubt her brother, especially with her son – and she told the two dead men where Chester would be working and they threw him off the bridge. It wasn’t a suicide. After the admission her son, Max returns, wearing Chester’s last costume trying to kill Chester’s last killer- Rita. A little salt and he’s quickly depossessed and the last mask can be burned. Time for an old school salt and ghost fight before Sam burns the costume and banishes the ghost. Before they leave they acknowledge Donna as a hunter, having been through three cases. She also apologises to Doug and praises him. And we close with more cryptic crypticness of Sam’s visions – he realises his visions are of Lucifer’s cage. Dean thinks messing with the cage is an epicly bad idea. Such a very very very very very bad idea. Such a terrible idea. And I still want to Donna and Jody to get a spin off series. Is it odd that the rabbit-mask is waaaaay creepier to me than anything else this show has ever managed to produce?